Hanuman Temple is an ancient temple located in Connaught place. It is also known as Prachin Hanuman Mandir. 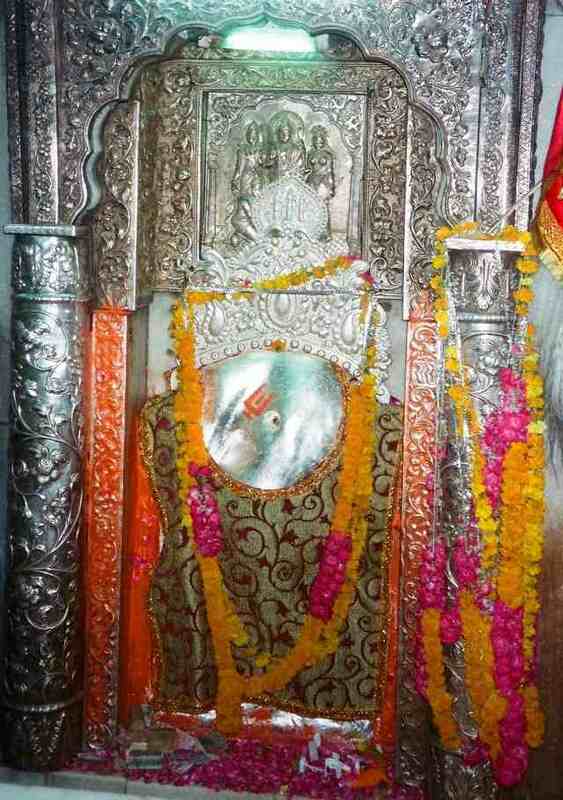 Hanuman temple have self manifest idol of god Hanuman. This ancient temple is believed to the be built in a Mahabharat era along with four other temples. The four other temples are Yogmaya Temple near the Qutub Minar, Kalkaji Mandir in south Delhi, Nili Chatri Mahadev at Nigambodh Ghat and Bhairav temple near Purana Qila. 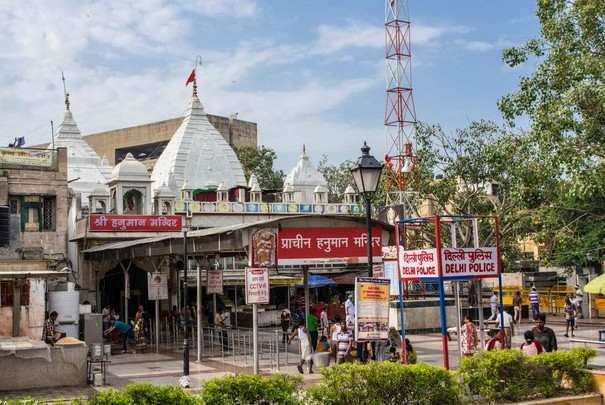 Hanuman Mandir is the one of the most visited temples of New Delhi and thousands of visitors came here daily to the worship of Lord Hanuman. Hanuman Mandir has an idol of Bal Hanuman (Child Hanuman). Maharaja Man Singh I of Amber built the temple during the 16th century and it was reconstructed by Maharaja Jai Singh in 1724 along with the construction of Jantar Mantar. Since August 1, 1964 This temple plays continuous chanting of “Sri Ram, Jai Ram, Jai Jai Ram” and this continuous chanting has been recorded in the Guinness book of world records. Hanuman Jayanti is celebrated here with great enthusiasm, thousands of devotees gather here to offering prayers to Lord Hanuman. Hanuman Jayanti generally falls in the month of March-April. Check the Aarti timings, temple opening timing and closing time in a table. The temple remains open till 2 AM in Night on Tuesday and it remains open on the whole Saturday night. The temple is located on Baba Kharak Singh Marg near to Gurudwara Bangla Sahib. It is located in heart of Delhi (connaught place) opposite Delhi Tourism’s Coffee Home. Shivaji Stadium Metro Station and Rajiv Chowk Metro Station are the nearest metro station and both are located around 500 meter away from the Temple. Shivaji Stadium Metro Station is located on Delhi Airport express line and ticket fairs are comparatively higher than Normal Metro services. Visitors recahed their via city Bus service, Cab, Auto Rickshaw, etc. Finding parking in CP is a tough task especially in evening hours. If you planning to visit the temple, Public transport (Delhi Metro) is the best option to reach here. Drinking water, shoe rack and small shop are located inside the complex. Devotees can purchase sweets and Prasad for Lord Hanuman. Also visit Iskcon Temple, Kalkaji Temple, Jhandewalan Temple, Birla Mandir of Delhi. Agrasen ki Baoli and Jantar Mantar are located in Connaught Place.